Microsoft always provides many methods of which Windows 10 users can perform the upgrade to latest version of Windows 10, such as from Windows 10 Build 10586 or earlier to Windows 10 Build 14393, and likewise for Windows 10 Creators Update version 1703 Build 15063. One of the method supported by Microsoft to upgrade Windows 10 to next major version of Windows 10 Update Assistant. Windows 10 Update Assistant helps users who want to upgrade to new version of Windows 10 to download and start the setup for latest version of Windows 10. For Windows 10 users who want to upgrade to Windows 10 Creators Update v.1703 (15063), Microsoft has updated Windows 10 Update Assistant to support the next version of Windows 10. 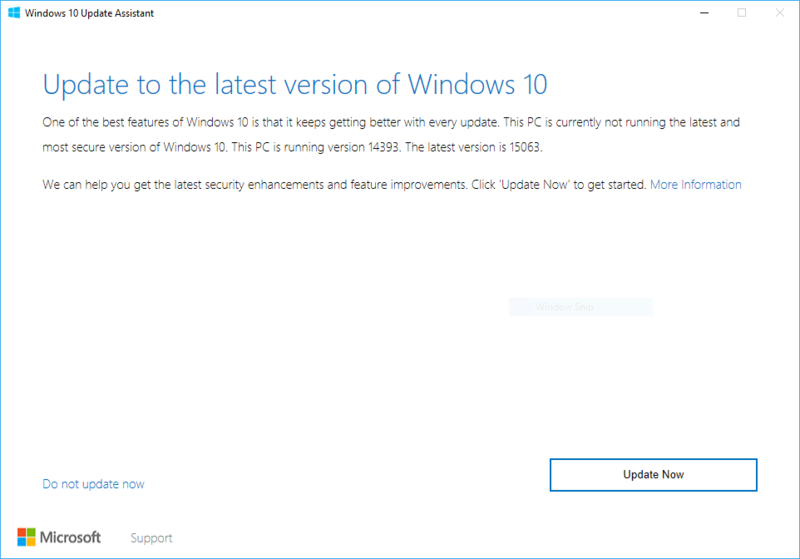 While the Windows 10 Update Assistant on the official Microsoft site hasn’t been changed to new version yet, the new version of Windows 10 Update Assistant supporting Windows 10 RTM Build 15063 has been leaked for download. The Windows 10 Update Assistant confirms that Windows 10 Build 15063 is the RTM for Windows 10 Creators Update. So if you have installed Windows 10 Build 15063, you no need to do anything. It also gives away the official release date of Windows 10 Creators Update. One of the best features of Windows 10 is that it keeps getting better with every update. This PC is currently not running the latest and most secure version of Windows 10. This PC is running version 14393. The latest version is 15063. We can help you get the latest security enhancements and feature improvements. Click ‘Update Now’ to get started. 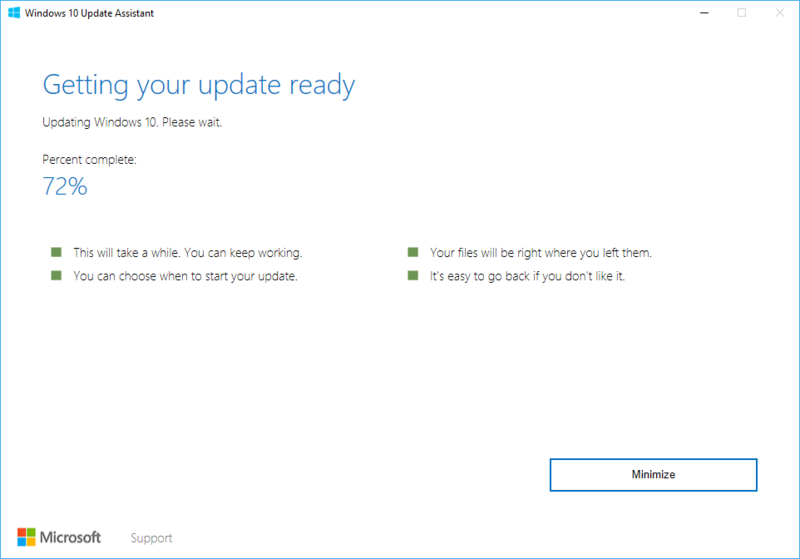 Initially, the new version of Windows 10 Update Assistant for Windows 10 Creators Update was not working and stuck at 0% progress as the tool is not yet updated to download the correct ESD file. 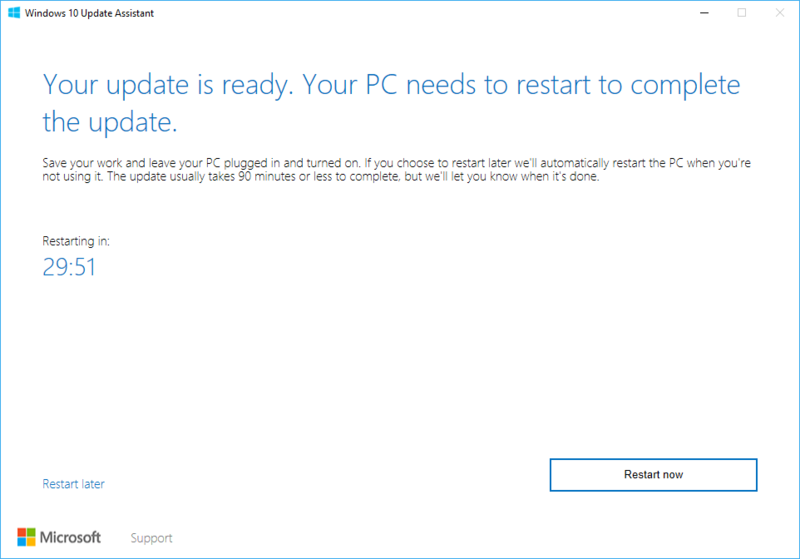 It was attempting to download 15058.0.170310-1436.rs2_release ESD. Update 1: The new XML for Windows 10 Update Assistant version 1.4.9200.17384 has been updated and downloaded by the tool. The new XML contains the direct link to the Windows 10 RTM Build 15063 ESD, which is used to perform the upgrade installation. You can download the view the XML: 20170405_rs2rtm_products.xml. 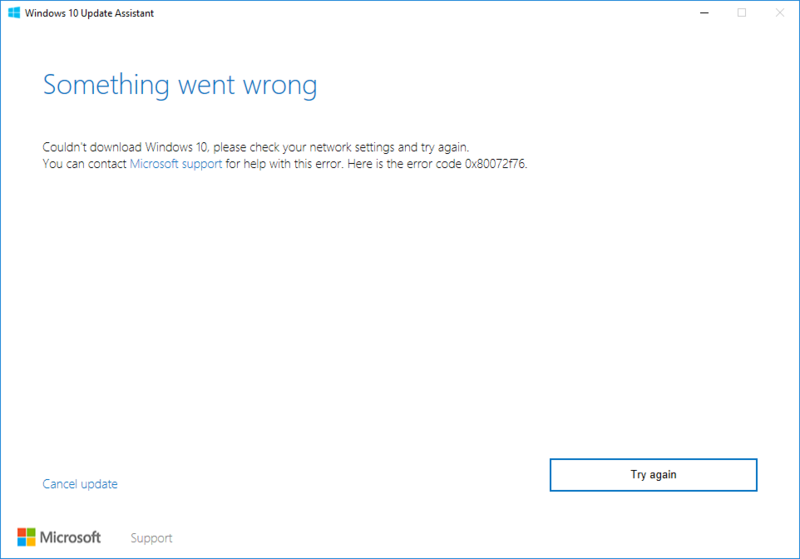 Couldn’t download Windows 10, please check your network settings and try again. You can contact Microsoft support for help with this error. Here is the error code 0x80072f76. Thank you for updating to the latest version of Windows 10. 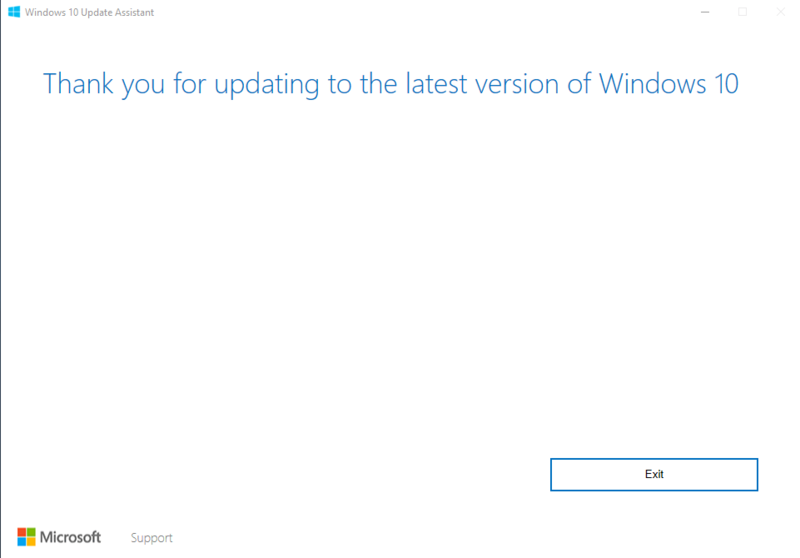 Note that Windows 10 Update Assistant does not support Enterprise and Education editions. Update 4: Windows 10 Update Assistant is now live at microsoft.com and offering Windows 10 Creators Update to all Windows 10 systems. Update 3: Microsoft has announced that Windows 10 Update Assistant will start rolling out Windows 10 Build 15063 from April 5th, 2017. Update 2: The Windows 10 Update Assistant has since gone live. If you run Windows 10 Update Assistant before April 5th, 2017, you will get the current stable version of Windows 10 Build 14393.